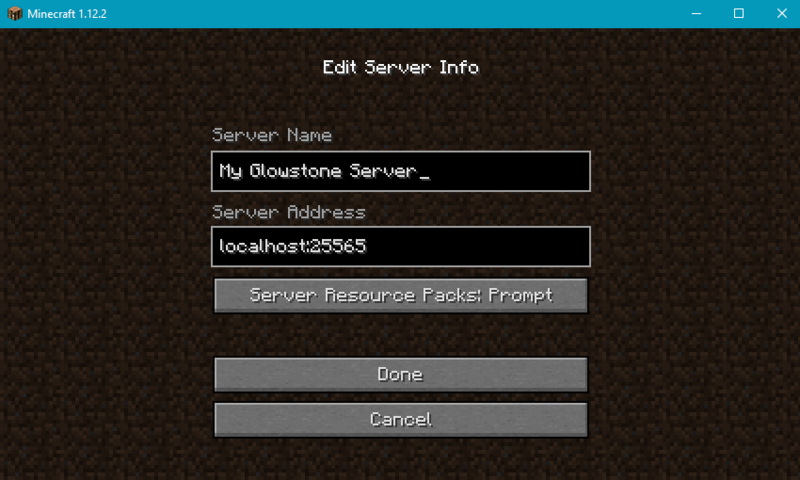 Once your server is open on a port, you can connect to it using a Minecraft client. For the sake of demonstration, we will assume you are running your server locally on port 25565. Click on the Multiplayer button in the Minecraft main menu. Click on Done. Your server should now appear in your server list. Sometimes, your server will show as unavailable (“ Can’t connect to server ”) after you add it to the server list. If that is the case, click on Refresh, and it should be live. 5. Select your server in the list, and click on Join Server. After a few seconds, you should spawn in your server’s world.